We welcome Mr Peter Stroud to the Centre. Peter has had a long-standing interest in the health and well-being of Adult Australian rural and remote males (AARRMS), having practised as a Health Psychologist in rural SA since 1997. 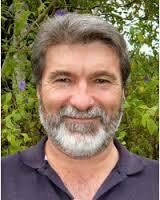 Between 1991 and 1997, Peter was a lecturer in Psychology at Monash University. Peter completed his Masters of Clinical Science in rural and remote men’s health at the Uni of Adelaide in 2014 and is now embarking on a PhD under the supervision of Professor Deborah Turnbull and Dr Kate Gunn (Psychology, Uni of Adelaide). Peter highlights that compared to their urban counterparts, and compared with both urban and rural women, AARRMS represent a disproportionate population in the underutilisation of all health services and in the national pattern of all negatively related health issues. Peter says that research has tended to view this situation as rural men behaving badly because they place few demands upon services and fail to engage with services as they are supplied, which is a limited view of the field. Peter is particular interested in how rural men deal with the new attitudes to health care which are founded on patient empowerment, new technologies, and new treatment modalities, that increase patient accountability and responsibility. Peter’s studies will aim to understand AARRMS experience of preventative health activity as a burden work delegated back to them by the health-care system. How AARRMS bear the burden is of particular interest to Peter. The Burden of Treatment Theory has emerged over the past decade as a mode examining the relationship between people suffering illness, their community and networks, and health-care and well-being services and environments. The theory focuses on the work individuals such as AARRMS need to perform, and the resources they are able drew upon for that effort. The Burden of Treatment Theory has not been applied to the field of Australian rural and remote adult health despite the potential utility of such an approach. Research and practice could then focus upon designing supportive strategies and technologies. We wish Peter all the best with his studies. This entry was posted in News, Research and tagged health behaviours, health services, psychology, rural health. Bookmark the permalink.